Craig LeHoullier - Today, our hearts are broken. Today, our hearts are broken. Mocha - full name Mocha Latte XXXVI - was born on May 2, 2004 and entered our lives on July 24, 2004, and left it today, December 11, 2017. She was 13 years, 7 months old. The slide show above (just click the picture and it will advance) has one or more pics from each year of her life. There are no regrets - she was the best, and we are so fortunate for every second of her nearly 14 years. I just located Mocha's genealogical info. Her full name was Mocha Latte XXXVI. Her father was Rexwald Forbes' Revenge, and her mother Jezebel Forbes' Desire. The breeder was Tonya and Thomas Forbes. She was born on May 2, 2004 - her AKC registration number was SR17568303. 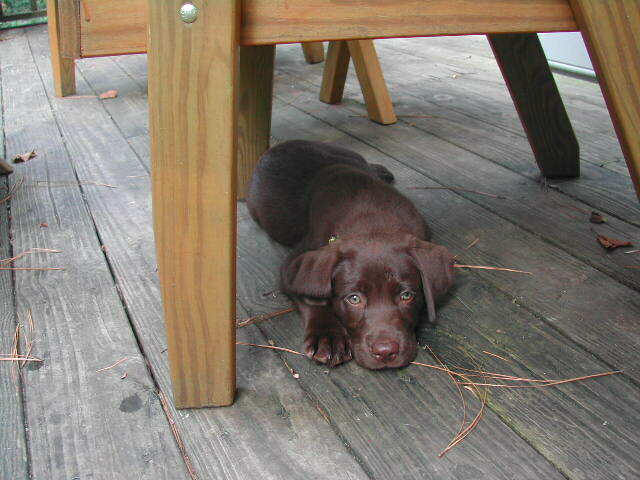 Mocha came to us when we responded to an ad in the Raleigh N&O that I found on the morning of July 24, 2004, which resulted in a trip to visit her first parent, Mona Creech of Holly Springs NC. 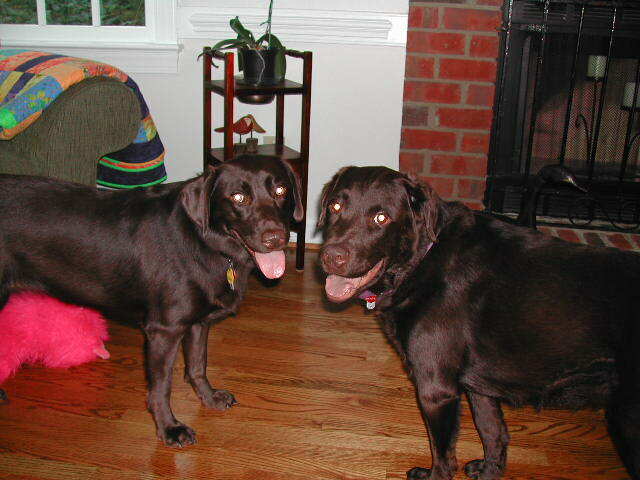 Mocha accompanied us home and settled in to our family on that date, and our lives were changed forever, for which we will be forever grateful. Older PostTomato dinners will mean something different to me from now on.